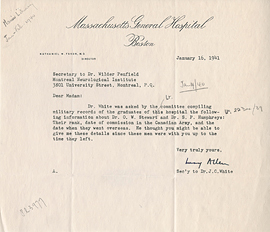 Letter from Lucy Allen to Ann Dawson, January 16, 1941. 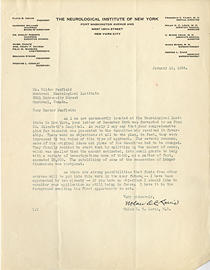 Letter from Madeleine E. Ottmann to Wilder Penfield, January 21, 1929. 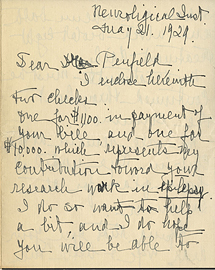 Letter from Mary Roach to Wilder Penfield, August 27. 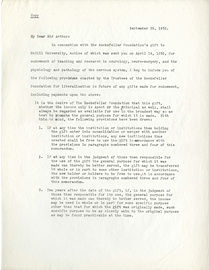 Letter from Max Brödel to Wilder Penfield, September 23, 1933. 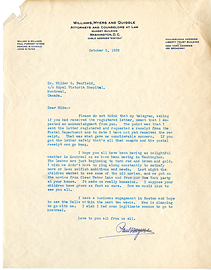 Letter from McDougall & Friedman to Wilder Penfield, December 4, 1944. 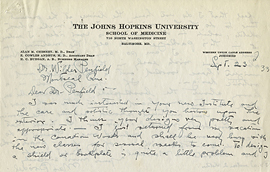 Letter from Medical Superintendent to Wilder Penfield, July 22, 1935. 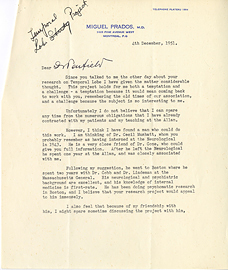 Letter from Miguel Prados to Wilder Penfield, December 4, 1951. 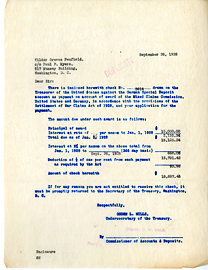 Letter from Nolan D.C. Lewis to Wilder Penfield, January 10, 1936. 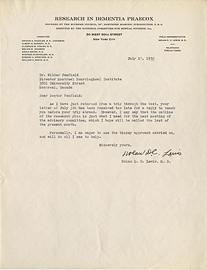 Letter from Nolan D.C. Lewis to Wilder Penfield, July 17, 1935. 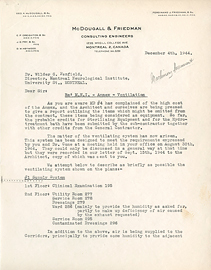 Letter from Norma A. Thompson to Sir Arthur Currie, September 29, 1932. 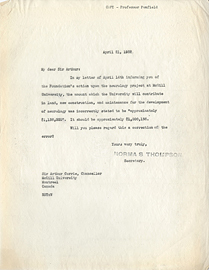 Letter from Norma S. Thompson to Sir Arthur Currie, April 14, 1932. 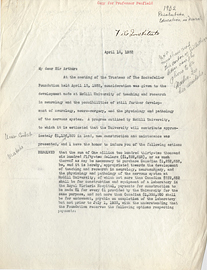 Letter from Norma S. Thompson to Sir Arthur Currie, April 21, 1932. 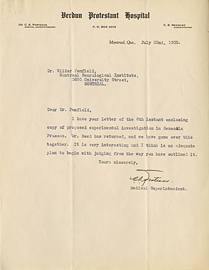 Letter from Ogden L. Mills and D.W. Bell to Wilder Penfield, September 26, 1928. 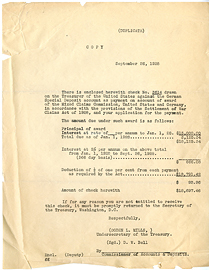 Letter from Ogden L. Mills to Wilder Penfield, September 26, 1928. 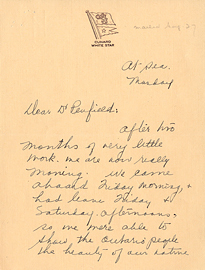 Letter from Paul Mayer to Wilder Penfield, October 8, 1928.